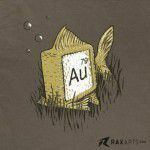 Au is the periodic symbol for gold, so an Au-Fish is otherwise known as a goldfish. 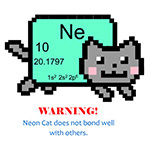 Ne is the periodic symbol for neon. 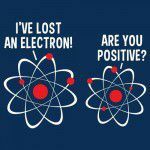 Neon has 10 electrons (e-), which is what the waitress is attempting to serve to neon. 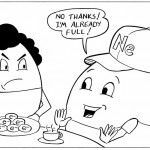 Elements can only hold 2 electrons on their first shell and 8 on their second; therefore, neon is full already (2+8=10). 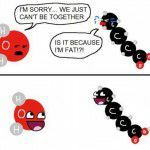 In this case, Na is “assaulting” Cl. 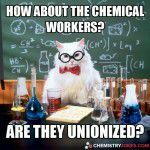 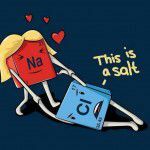 NaCl is sodium chloride, otherwise known as salt. 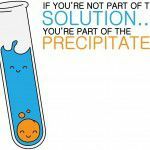 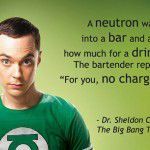 A neutron is subatomic particle that has no electric charge, therefore, there is “no charge” for the drink. 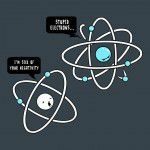 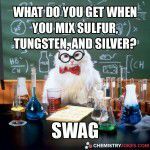 Electrons are the negatively charged subatomic particles of an atom. 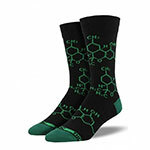 NO3 is the molecular formula for nitrate. 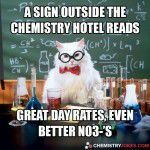 In this case, the Chemistry Hotel has great day rates but even better “night” rates.